Your choices add up. Following our 10 Cancer Prevention Recommendations can help you lower your risk for cancer. 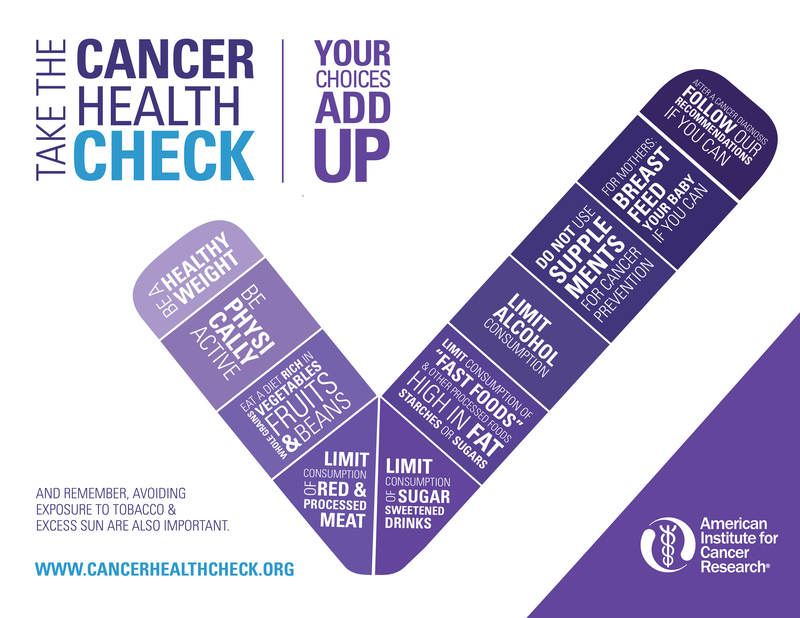 Take the 5 minute Cancer Health Check to see how your lifestyle stacks up against proven recommendations for cancer prevention.